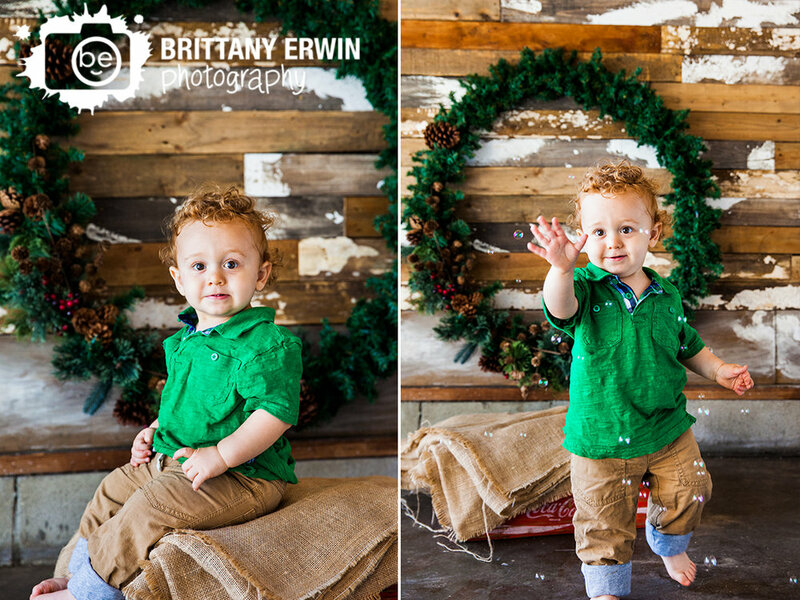 As many of you know, we have some Christmas mini sessions coming up in November. This will be our first set of Christmas minis here in our new studio and I am excited to share the set up with you! We are going with a simple rustic feel using our reclaimed barn wood wall and a giant wreath. We have a small tree for little ones to decorate. I know my little guy was pretty excited to add the little ornaments to the tree! Our big wreath offers a simple festive backdrop that you can dress up with something nice or come in PJs for something casual and fun! Here are some sneak peeks of the setup! We have a couple spots left on both days if you still want to get in on the cuteness! Christmas Mini Sessions are November 18th and 19th and include up to 5 subjects with a downloadable gallery with print release of 15 images for $100.